In the City of Angels is where this Parisian designer’s sets his scene for his latest collection. 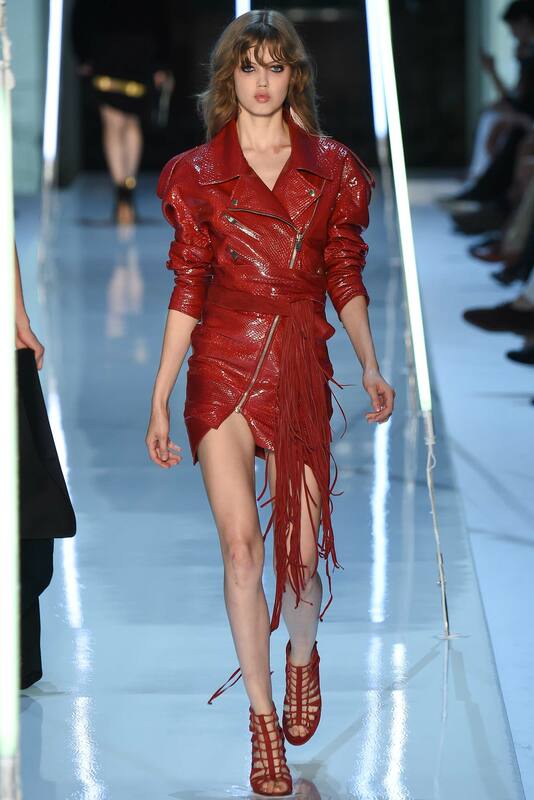 I can see Juliette Lewis in every single piece on this runway, strutting her stuff on stage with her band The Licks. The use of black & red leather and dreamy silk/satins cut into well structured garments mixed with golds & styled with such perfection translate into 3 words screamed loudly GLAM ROCK BABY!